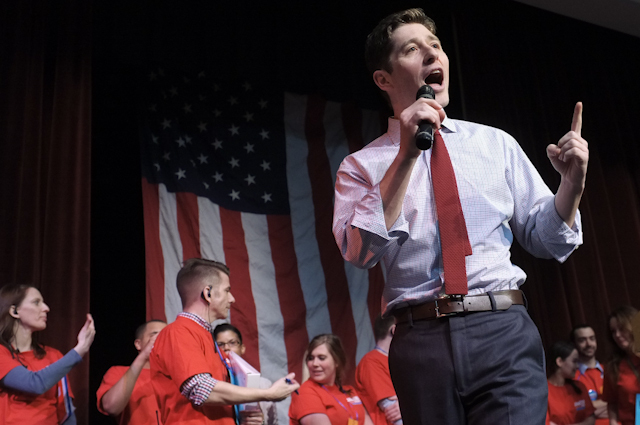 It was a sea of red shirts supporting Jacob Frey for city council in the race in the 3rd ward against incumbent Diane Hofstede. 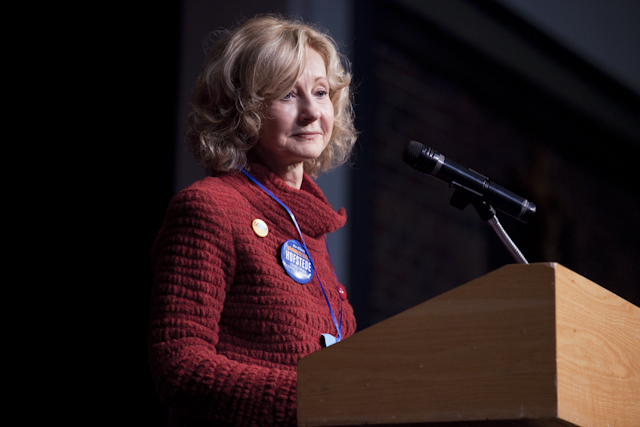 The first order of business was Diane Hofstede’s request to address the convention. Hofstede chastised the process of people not being represented. 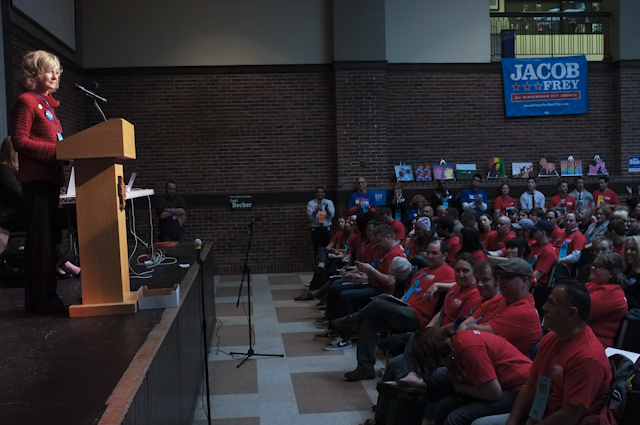 “The process has become flawed,” she told the crowd. “Older residents and our new Americans have been discouraged and sometimes disrespected while trying to participate in the endorsement process.” It was surreal hearing her words as I looked out at a very diverse group of people who were the 70% supporting Jacob Frey. 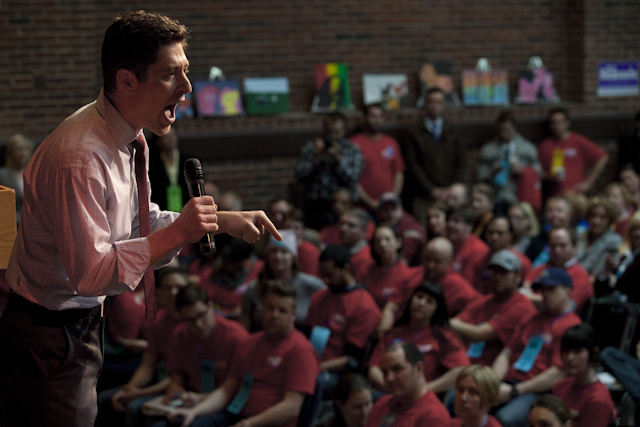 Jacob Frey had clearly out organized Hofstede. 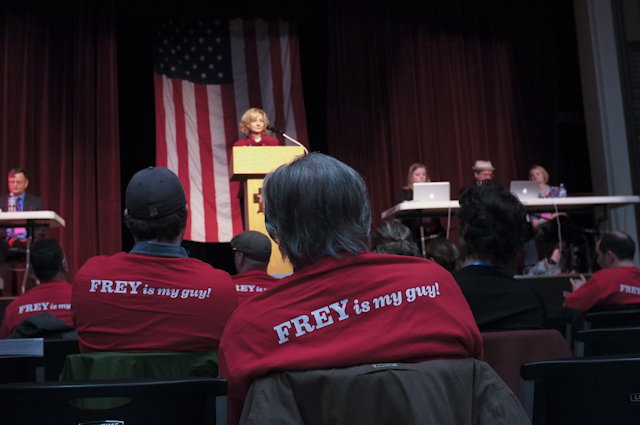 You have to show up to be counted, and supporters for Frey showed up in huge numbers. The times they are a changing as is the DFL party. The old family names of yore and incumbency no longer hold the coattails within this new breed of neighborhood activists. They are young, diverse, committed and very passionate. “The 3rd ward marks the 4th sitting city council member who has not received the DFL endorsement from their conventions. This year’s ranked choice voting opens up the race. We’ll see if the new DFL endorsement holders can survive the challenge of the challenge of the incumbents who’ve now changed their minds on their prior dedication to the all important DFL endorsement. It comes as no surprise that CM Hofstede walked away from the endorsement process. She has not and cannot face reality. She is of the mindset that she is entitled to be elected to her job and cannot believe anyone else that doesn’t see it her way. Jacob is exactly what this city needs and CM Hofstede is the exact opposite. She should stop calling herself a DFL member and list herself as an Independent. She has spit in the face of the party and should be thrown out as a result. Go Jacob! I loved Jacob’s speech. His words and body language rang true. 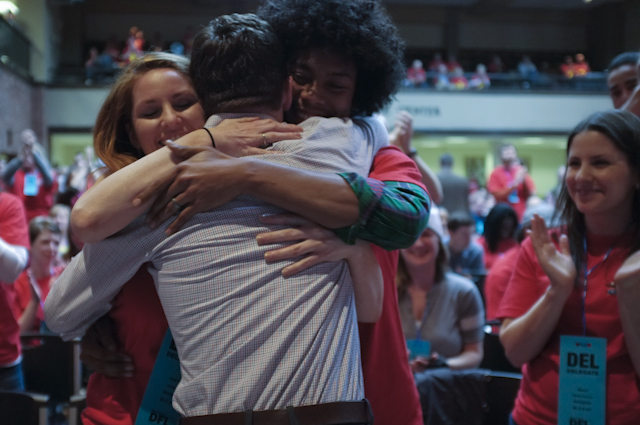 That is why the auditorium was red, last ditch party endorsements by Ellison and Rybak of CM notwithstanding. Funny that, seeking party endorsement one day and the next excusing yourself under clouds of broken process etc. This action by CM doesn’t ring true and might be indicative of her representing style. Is it a bait and switch work ethic? 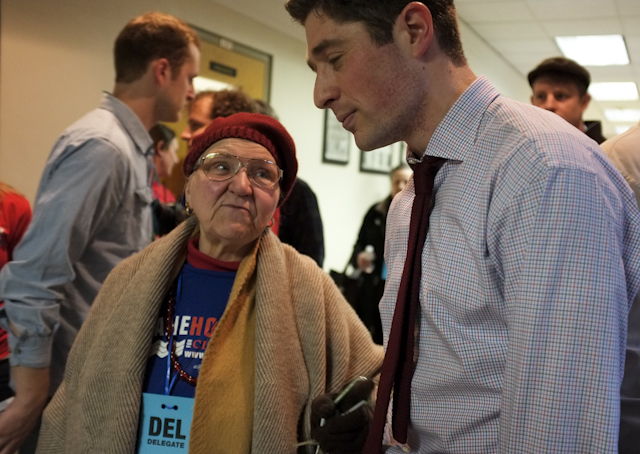 Jacob Frey made me believe in the process once again. I’m backing him. Great story telling Terry, and a big story to tell.